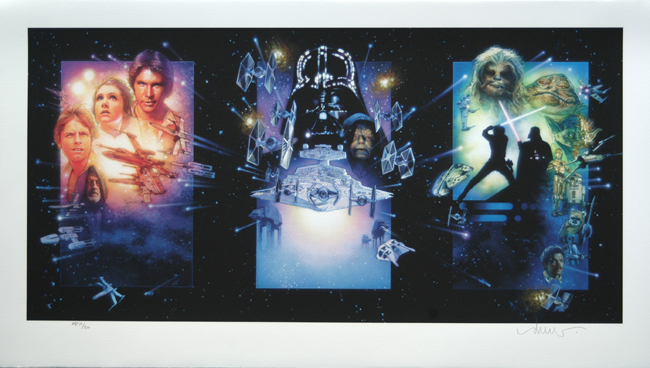 With the theatrical release of the Star Wars special editions, Struzan created the three-panel triptych poster in 3 weeks, working day and night through the Holidays starting in December ’96 and finishing in January ’97. He did not paint it as one picture but as three individual pieces of art. Each one was produced as a single poster for the staggered premiers of each of the three films. It was not until later that people began to discover that set side by side in the proper order the three posters became one image. Upon seeing this George Lucas had gotten new favorites for his opus. Thereafter when drew painted the Episodes I, II and III poster art he did so to match the design concepts of the Triptych to make a complete series to hang all together. Hang together, which they do, all six, at George Lucas’ screening room at Skywalker Ranch. Only later with the production of a limited edition giclee fine art print did drew produce the artwork as it was always designed and intended to be seen, as one painting, a triptych. 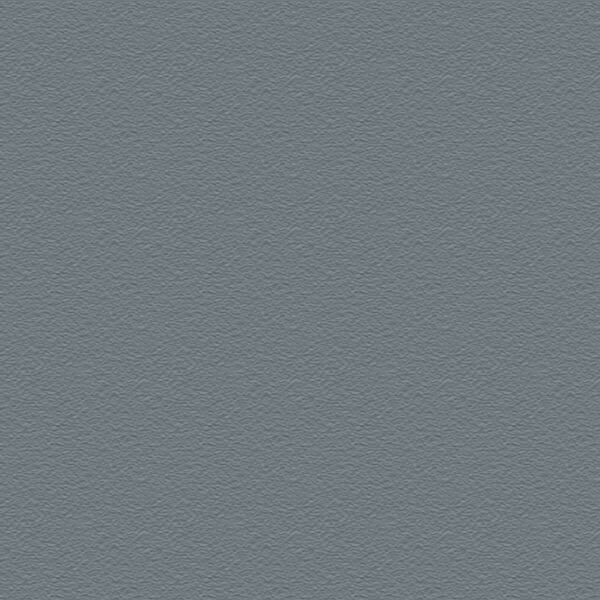 Fine Art Giclee Print on heavy weight archival paper. Artist Proof hand signed by drew.